Many men who signed up had a strong faith. 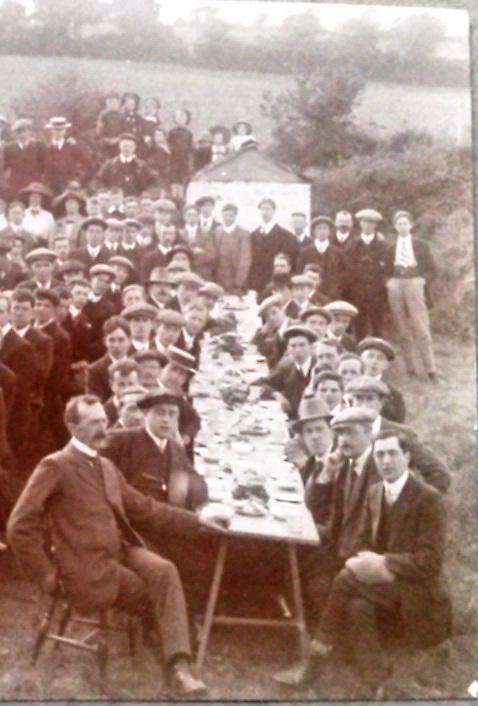 At Redruth Wesleyan Chapel, 150 members of the Young Men’s Bible Class volunteered. Many wrote back to Harry Rich, who ran the class. They tell him about life far from home and how they miss Cornwall. Cornwall Records Office holds several of these letters. Click here to read a letter from Cpl A. Polkinghorne of St Day Road, Redruth. Click here to read a letter from Corporal Cecil J Hill, of the 23rd Trench Mortar Battery. Twenty of the young men from the Bible Class died. A brass plaque was unveiled in 1920 to remember those who served and lost their lives. Outside the chapel, there is a tablet of Cornish and Aberdeen granite in honour of the dead.